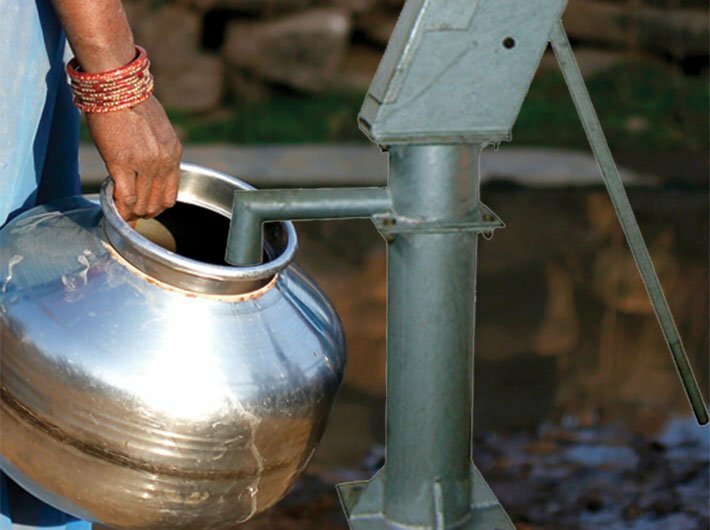 The flagship scheme of the central government on rural drinking water supply – National Rural Drinking Water Programme (previously known as Accelerated Rural Water Supply Programme) – has been audited by CAG of India. The performance audit that began on March 16, 2017 and covered 27 states got tabled in parliament on August 7, 2018. This performance audit revisits our progress on the agenda of drinking water for all exactly after a decade. In 2008, CAG of India’s performance audit on Accelerated Rural Water Supply Programme had entered public domain. Since then in two of its reports, the Public Accounts Committee of 15th Lok Sabha (Report No 35 in 2011-12 and Report No 69 in 2012-13) has discussed audit findings of previous report and made recommendations. The latest performance audit reveals that “the deficiencies pointed out in the earlier audit report continued to persist”! Auditors have devoted an annexure to recollect the deficiencies pointed out 10 years earlier, corresponding recommendations and the current position. This must force us to pose a question: why is it that constitutional audit in India repeatedly fails in its task of bringing long-lasting change and weeding out deficiencies? The report makes some critical observations of the failure of Karnataka in ensuring drinking water security to all its villages. Actually, in Karnataka the percentage of fully covered habitations at 40 lpcd decreased from 42 to 33 in the matter of four years (April 2013 to April 2017). The first and foremost amongst them is the failure of state in laying down a state-level water sector policy framework on the lines of the national policy framework. Karnataka joins the list of 17 states (out of 27 sampled states) that didn’t bother to prepare a state-specific sector policy framework. Similarly, Karnataka is among the 21 states that failed to develop a five-year comprehensive water security action plan at any of the three levels (village, district and state). This centrally sponsored scheme required the state to constitute a state water and sanitation mission (SWSM) under the aegis of the department/agency implementing the rural water supply programme. SWSM was to function as the apex level institution in the state, enlisting secretaries of allied departments as members and was expected to meet twice in the year. The CAG’s performance review indicts Goa, Karnataka and Mizoram for failing to constitute SWSM. The state had also failed to constitute source finding committees that provide the platform for community participation. Audit scrutiny also revealed that in Karnataka, annual action plans (AAP) were prepared with delays ranging between five and ten months during 2012-17. The CAG audit also observed that “basic information on which AAP were prepared was not documented”. Karnataka also failed to include plans for coverage of schools and anganwadis with water supply schemes in AAP. Karnataka also joins the list of those 16 states that failed to accord priority in coverage to habitations where less than 50 percent population had access adequate quantity of safe drinking water. The CAG auditors also point out instances where rural water supply schemes remained incomplete for want of required land and necessary permissions from railway authorities, national highway authority and forest department after incurring expenditure of Rs 42.59 crore! Auditors also highlighted instances where water supply schemes remained incomplete due to failure of the department to ensure definite and perennial source of water even after incurring expenditure of Rs 39.56 crore. Audit scrutiny of financial transactions under the programme revealed that “opening of multiple bank accounts and complicated inter-bank transactions indicated lapses in control over funds allocated for the programme”. (In Karnataka, audit came across a total of 108 bank accounts handling the NRDWP funds.) Audit also underlines that the state government constituted a committee – headed by Punati Sridhar, then executive director of Mahatma Gandhi Institute of Rural Energy and Development – in October 2015 on this, which recommended after scrutiny in June 2016, a detailed reconciliations of these transactions. The CAG auditors note that such a detailed reconciliation of financial transactions was still in progress at the time of audit scrutiny in August 2017! Audit scrutiny also revealed that funds towards state share amounting to Rs 695.44 crore were released with delays of up to 127 days. Audit also pointed out that 100 block-level water testing laboratories that were set up at a cost of Rs 92.10 crore during March 2014 and March 2015 had stopped working since April 2017, when the concerned department, on noticing improper functioning, rescinded the contract with the agency for running these laboratories. Thus, the performance audit observed that the block-level laboratories in Karnataka have remained completely non-functional since May 2017, in the absence of any alternative arrangement for water testing! So next time you hear someone describing our water use as overusing the credit card, take a deep breath and trying learning to plan better by listening to the constitutional auditors. Upadhyaya is faculty at Azim Premji University.